Hehe… So funny–I recognize the bus from our neighborhood. This is the old 49A bus line from Neve Yaakov. . Hasn’t been around for a while. What nostalgia! True. Was in Neve Yaakov for sefer torah dedication, one of the most memorable ones, something I must write up one day. 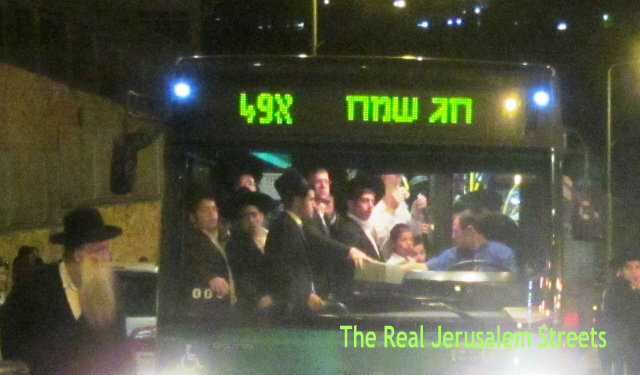 I got a new photo of Chag sameach bus sign yesterday, will have to use that one next time.